Seafab Metals Company is a trusted expert in lead metal fabrication. With a 90-year history of excellence in the lead industry, we deliver precision lead products to our customers in the construction lead fabrication and nuclear shielding industries. 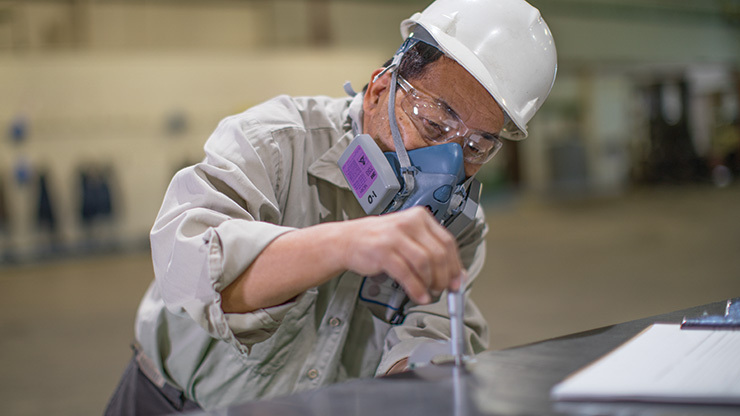 A Seafab Metals Company employee measures the thickness of a lead metal sheet to ensure it meets exacting standards. Seafab Metals supplies precision lead metal materials that serve construction, medical, nuclear storage, and energy industry needs. Seafab Metals is compliant with current requirements by the nuclear regulatory standard ASME NQA‑1, the only quality program endorsed by the Nuclear Regulatory Commission. Our safety achievements span decades, and we recently achieved 19 years without a lost-time accident. Customers know they can count on us to deliver exacting products that meet customer specifications. 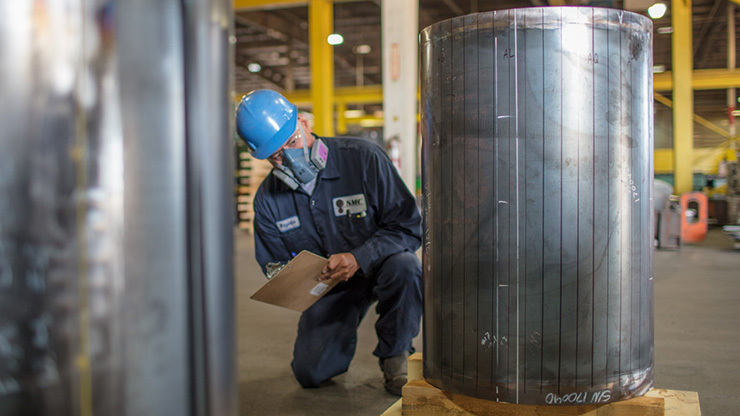 The Casa Grande, Arizona, plant manufactures a variety of precision products, including nuclear shielding for waste containment, construction lead fabrication products and lead anodes for electrowinning. 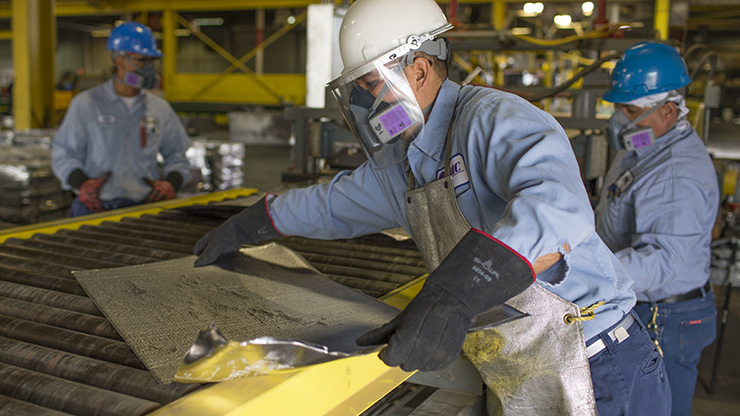 Our plants in Casa Grande and Vancouver, Washington, together annually deliver 30,000 tons of lead to customers across the U.S.
Seafab Metals is compliant with current requirements by the nuclear regulatory standard ASME NQA‑1, the only quality program endorsed by the Nuclear Regulatory Commission. A Seafab Metals Company employee inspects a lead-lined nuclear cask. Seafab Metals has provided nuclear shielding technology since the days of the Manhattan project in the 1940s. Today, our facility manufactures ultra-high integrity lead castings for spent nuclear materials and related components. 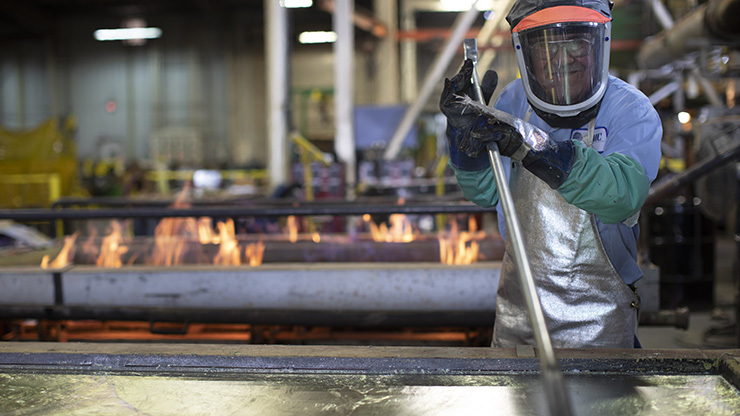 Continuous lead pours of up to 500,000 pounds are possible within our facilities. Our commitment to quality and customer service drives innovation. We have been instrumental in bringing innovative materials and manufacturing methods to the nuclear industry. For example, Seafab Metals was the first to successfully apply calcium lead alloys as a solution to the creep-related dimensional stability problems in high energy calorimeters and radiation oncology focusing devices. Lead and lead alloys have a long history as the material of choice in electrowinning and electro deposition. Seafab Metals is the industry leader in the production of lead anodes for these applications with our combination of metallurgical expertise and processing control that’s critical to product quality. Seafab Metals manufactures anode sheets and shaped anodes for electrowinning and electro deposition, lead-calcium-tin plates for Copper SXEW anodes, and lead silver anode blades for zinc electrowinning. 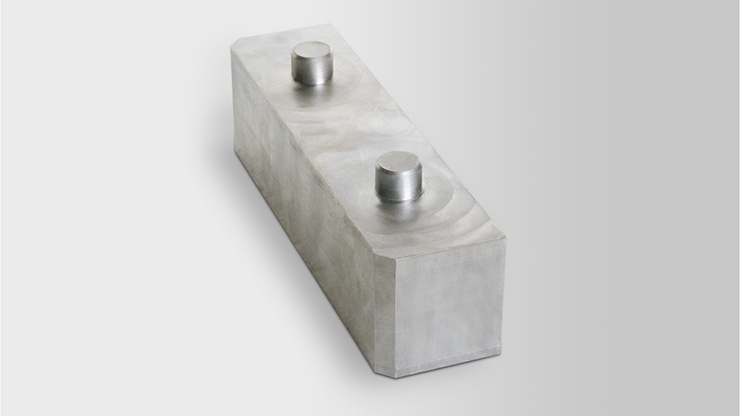 We also fabricate coextruded electrostatic precipitator anodes, providing the industry with a unique product solution that combines the strength of a high tensile core wire with the corrosion resistance and economy of an outer lead sheath. Seafab Metals has more than 19 years manufacturing lead metal fabrication products without a lost-time accident. The Casa Grande facility has received the National Safety Council’s “Perfect Record Award” for no lost-time accidents each year since 2000. Lead sheet, plate and flashing materials are manufactured solely from pure leads and a variety of lead alloys, including copperized, 6% antimonial lead; calcium and calcium-tin leads; tin-leads; and silver lead. Other alloys may be available upon request. Minimum quantities may apply. Seafab Metals provides standard and custom sizes, and specialty shapes, for specific job requirements. Standard thickness +\- .005″ length and width +\- 1/8″. Variances may be considered on a special-order basis. Alloyed products conform to commercial standards for ASTM‑B‑29; B‑749; and Federal QQ‑L‑201f; QQ‑L‑171e; AMS‑7721. Appropriate specification must be defined at the time of order for certification to be verified by our analytical laboratory. Lead bricks are made from pure lead and are available in most sizes. Specialty alloys are available upon request. 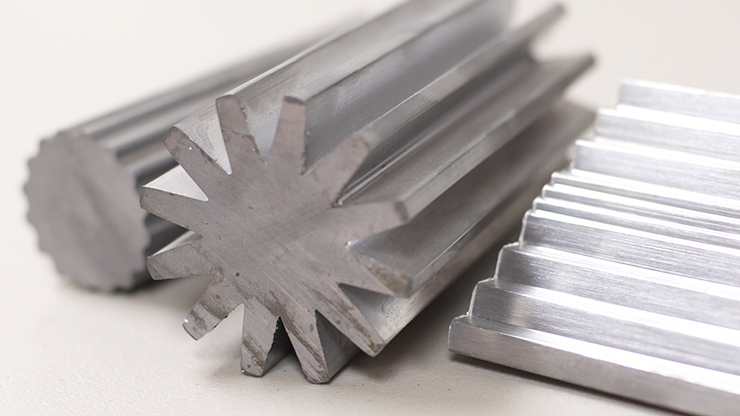 Seafab Metals can meet your needs for nearly any custom size, and can provide machining for special applications. Coating options are available upon request. Seafab Metals performs hot lead pours for castings used in X-ray shielding, medical equipment, sound deadening, laboratory research, counter weights and many other applications. Our continuous hot lead pour facilities have kettle capacities up to 250 tons. Lead Wire: .125 to .500 available in 25# spools or 15” length in a 50 lb. carton. Bullet Swaging Wire: .297 to .490 available in 25 lb., 150 lb. and 300 lb. spools. Custom alloying and other sizes of wire are available upon request. Lead Pipe: 3/8” ID to 12” ID, standard 10’ lengths unless specified otherwise. Custom sizes and shapes also available. 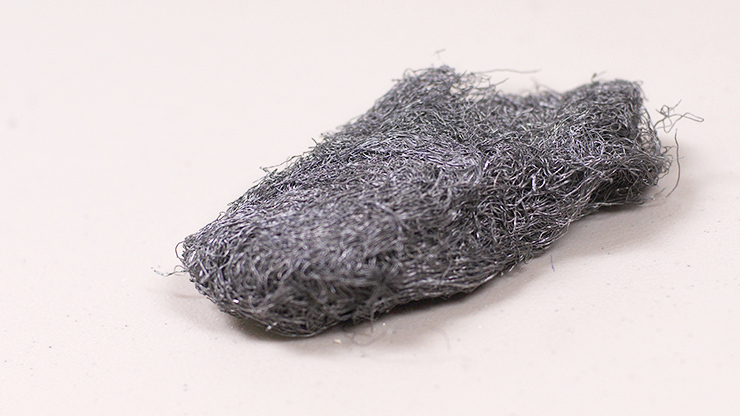 Lead Wool is used to join pipes and for radiation protection in aprons. Available in 5 lb. and 25 lb. cartons. Seafab Metals offers both lead pigs and ingots. 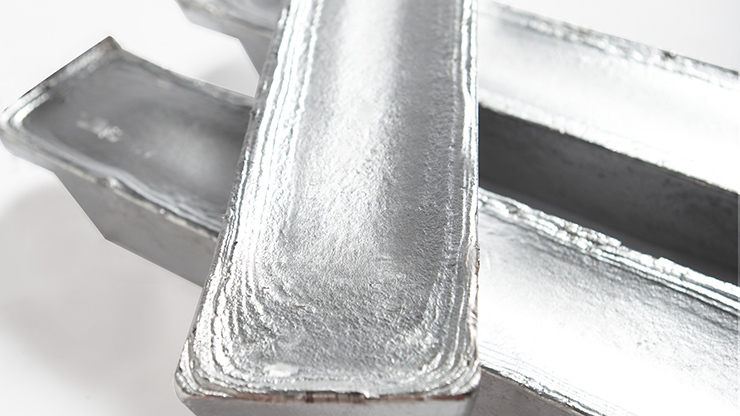 Ingots are manufactured at 25 lbs. each.